\If there’s one concern that every owner of a food-based business has in common, it’s how to handle the fragile nature of food effectively. You not only want to keep it safe for consumption, but fresh enough that your customers are able to fully experience its wholesomeness and flavor. If you’re doing business on a large scale, then you’re no doubt concerned with finding the best way to get your goods from place to place in one piece as well. Many businesses still rely solely on disposable, single-use shipping and storage options like corrugated containers. However, while disposable containers may be familiar and convenient, they’re far from the best way to ship and store your edible goods. Reusable totes are quickly replacing them for a number of very good reasons. Reusable totes help you save money in the long run. Naturally, there are certain recurring costs that come along with running a business. The cost of packing materials and shipping containers is only one of these, but it’s a very important one. On the surface, corrugated cardboard boxes and other single-use options absolutely seem like the more economical option. However, while it’s true that reusable options like totes, crates, and wire baskets do cost more up front, they’re not representative of a recurring cost. You use them again, and again, and again instead. You can save even more money by purchasing perfectly good totes on a secondhand basis from a supplier like Container Exchanger. When and if you ever are finished with the totes, you can simply sell them back for a partial return on your original investment. Keep your merchandise fresh, safe, and free of damage in transit. As touched on above, food is nothing if not fragile, so it’s not hard to see why the safe shipping and storage of edible goods presents such a challenge. For the most part, disposable containers do protect food. However, they’re simply not sturdy enough to really guard against the unexpected. 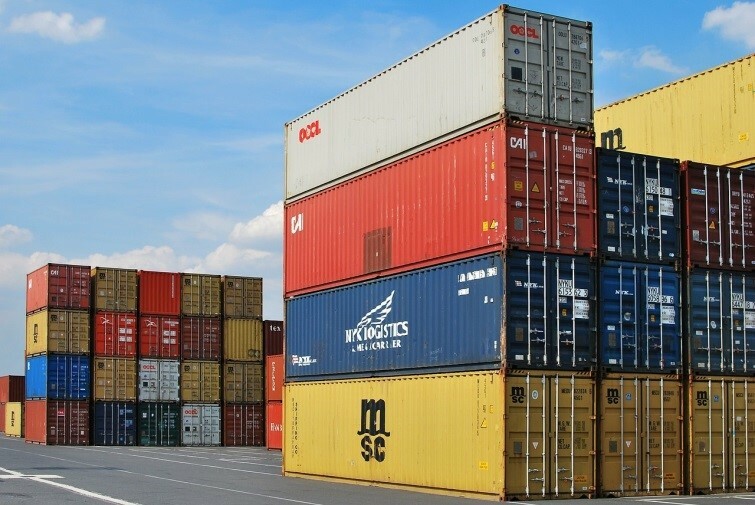 Shipping containers are frequently dropped, bumped, or jarred before they reach their destination – sometimes severely. If you’re only relying on cardboard to protect your merchandise, then you’re probably very used to customers complaining of bruised produce or baked goods that look like they’re practically pulverized. You probably have even written off the occasional damaged or replacement shipment as part of the cost of doing business. It doesn’t have to be that way. Reusable food grade totes are built to last, so they’re many times more durable than their cardboard cousins. Making the switch will mean significantly fewer damaged shipments and much happier customers. Store your merchandise under ideal conditions. Just as food can be incredibly difficult to ship, it’s also a real challenge to store properly. Food grade totes will be easier to stack without risk of damaging the delicate contents within, so you can finally make the absolute most of limited pantry or warehouse space. Occasional mishaps like spills won’t damage your containers, either, as they won’t soak up moisture the way cardboard boxes will. 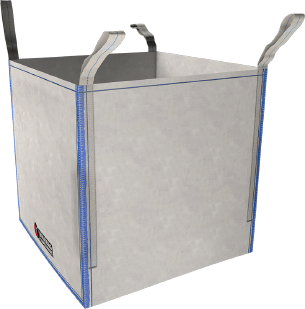 Since food grade totes were made with the storage of food in mind, they’re already designed to help facilitate the right conditions for long-term storage as well. Keep baked goods from going stale so quickly. Protect delicate seasonal produce from getting bruised or becoming moldy. Rest easy knowing that your totes are 100% FDA-compliant and safe for storing food, so you never have to worry about exposure to toxins or chemicals that have no business being anywhere near food. Become an environmentally conscious business owner. Doing business in a way that minimizes the associated impact on the environment to the greatest extent possible isn’t just for huge global corporations anymore. It’s the responsibility of every business owner. That said, making the switch to reusable, sustainable packaging options like food totes is a great way to drastically reduce your business’s carbon footprint. You’ll significantly reduce packing waste. You can take advantage of the totes’ stackable design to fully maximize available space on shipping vehicles and freezer trucks, allowing you to reduce the amount of fuel your business uses. It hardly hurts that becoming more environmentally conscious also helps save you even more money. At the end of the day, there are a million reasons to get your business on board with the current shift toward environmentally sustainable packaging. Start experiencing the benefits first hand when you make the switch today! This entry was posted in Food Totes & Trays, Totes on November 19, 2015 by madden_david. Is Reusable Packaging the Right Choice for Your Company? Unless you and your staff create and sell all of your goods on-site, then you’re probably more familiar with the concept of the cardboard box than you really want to be. Every shipment generates a brand new crop of them. They then need to be broken down and either recycled or redistributed. If you ship goods in any capacity, then you’ve probably filled more than your share of cardboard boxes with outgoing merchandise as well. It’s not hard to see why you might be thinking about making the jump to reusable, sustainable containment options sooner rather than later. However, as is the case with any business decision, it can be tough to know whether or not a given effort will really be worth it, especially if you run a small local business. Here are a few things to consider in order to determine whether or not it’s really time to make the switch. Every business of any size is naturally going to be concerned with building a healthy bottom line, but when you run a small business, it’s more than just a passing concern. Your ability to make cost-savvy choices with your budget could eventually make or break your ability to stay in business over the long term. Reusable shipping and storage containers are a great way to do this. For a relatively small initial investment, you can say good-bye to recurring containment costs, since you can reuse the containers again and again. (This is even more the case when you buy your containers secondhand.) 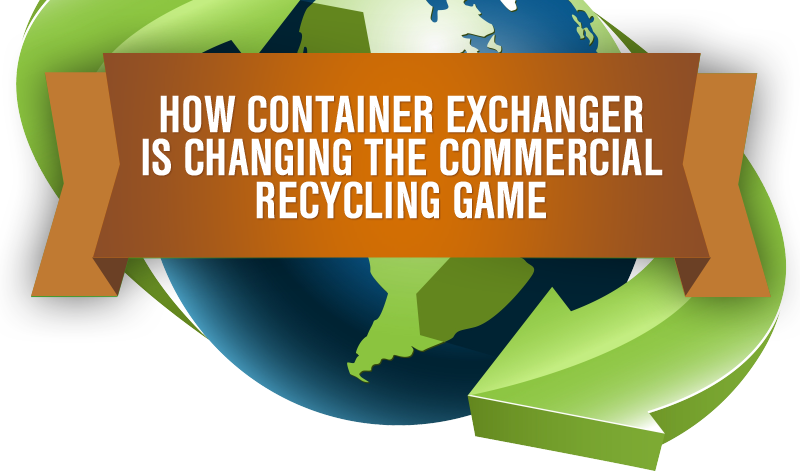 If you change your mind or want to switch to a different option, you can simply sell your used items back to a company like Container Exchanger that specializes in refurbishing secondhand containers. If you’re like many modern people, then your overall carbon footprint is probably something you care quite a bit about. You already reduce, reuse, and recycle at home. When you put that same philosophy to work in running your business, you can make an even bigger difference. Making the switch to reusable containers will allow you to drastically cut back on the amount of packaging waste your company generates. Recycling your cardboard containers is great, of course … but not using them at all is even better. Sustainable options like stackable totes can help you cut fuel costs by allowing you to take better advantage of the vertical space in each of your shipping vehicles. No business owner likes getting a call from a client or customer that’s just become the not-so-lucky recipient of a damaged shipment. The customer is understandably disappointed and possibly even angry. You as the business owner aren’t too keen on having to spend additional money to replace and reship the items, either. Reusable shipping options like crates, totes, and bins can help you put a stop to incidents like this. They’re more than just containers. They’re sturdy, reliable options that are built to stand up to the abuse and rough handling that can come with the territory when you ship. Such containers make better options for simple storage and organization for the same reasons. Plus, the sheer variety of the products out there today allow you to make the best possible choices as to how you ship and store. When you’re the owner of a small business, it only stands to reason that you have a lot of employees that wear multiple hats. The people you count on to run your selling floor may also do double duty as stock people certain days of the week. Your receptionist may well also be your in-town delivery person or night clean-up person. You don’t want your employees spending valuable work hours on menial tasks like breaking down or disposing of cardboard boxes if it can possibly be helped. Go sustainable and let your workforce focus on the more important tasks – like tending to your customers or keeping day-to-day operations running. All things considered, reusable containers are largely considered to be the way of the future. They save businesses time, energy, and manpower. They help those same businesses better provide the quality products and services their communities need. 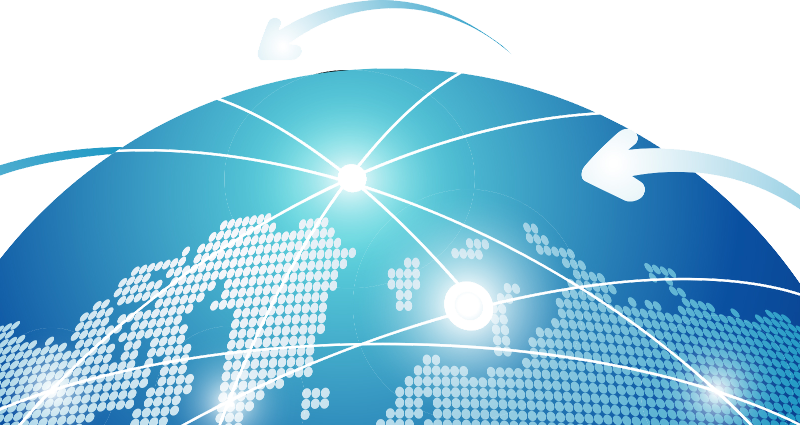 They make your life as a business owner considerably more convenient as well. Make the switch today and find out first hand! This entry was posted in Sustainability on November 19, 2015 by madden_david. When you run a business, it only stands to reason that you’re always looking for ways to improve the health of your bottom line. The lower your overhead costs in relation to your profits, the more you can continue to reinvest in the products and services that make your company great. Some ways of doing this are obvious – as with effective advertising – but others don’t get enough credit for being incredibly savvy business moves. Making the switch to reusable containers is definitely one of these. They’re more than just a better option for the environment. They can save you quite a bit of money, especially over the long term. Let’s take a closer look at how. If your business is like most, it relies almost solely on disposable shipping and storage containers. Such containers are designed to be used just once before being recycled or thrown away for good. When you run out, you buy more and do the same with those. It’s such a standard part of how you probably handle shipping and receiving that you forgot a long time ago that those materials come alongside recurrent costs you need to cover again and again. Reusable options like crates, totes, baskets, and more are designed to be reused over and over. You empty one and refill it again. You collect old shipping containers from your clients when you return to deliver new shipments and put them back into circulation. This means you make one investment up front, and that’s it. Reusable containers quickly pay for themselves, and then begin saving you money. Picture the cargo bay of the average shipping vehicle before it leaves your facility for its destination. The chances are pretty good that “fully loaded” means the space is fully maximized from side to side with space to spare from top to bottom. Now picture what would happen if you could fill that vertical space with merchandise as well. You could send out fewer trucks and save a fortune in fuel costs over time. Many reusable containment options are designed to be stackable in a way flimsy cardboard boxes just aren’t. This allows you to maximize the vertical space in your delivery vehicles, as well as in your warehouses and storage facilities. Damaged merchandise is always a disappointment. 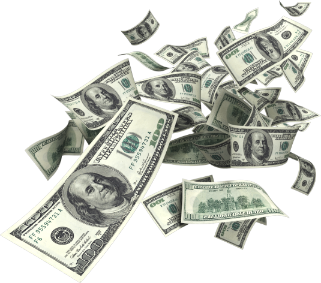 It means money lost on valuable goods that now need to be replaced or reshipped. It can also add up to frustrated, unhappy customers that may decide they can’t count on your company to the extent they wish they could. This is especially the case when it comes to delicate or exceptionally valuable items. Reusable containers are made to be sturdy, reliable, and incredibly resilient in comparison to other options meant for only one use. This cuts down considerably on damages sustained during the shipping process. Such containers are better choices when it comes to your storage needs as well. Since they’re stackable, they can mean making better use of your existing storage space. 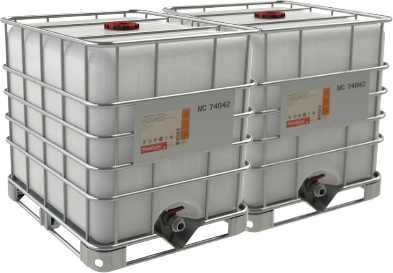 Sturdier, stronger containers mean less potential damage sustained as a result of leakage, vermin, or other inconveniences commonly associated with storage facilities. Reputation counts for a lot when you run a business, especially when you run a small or localized business. Every advantage counts when you’re looking to build a brand and cultivate a client base. What better way to convince your customers that your heart is in the right place by doing everything you can to go sustainable? People associate businesses that care about the environment with time-honored concepts like integrity, kindness, and reliability. A business that can be counted on to put the planet first is considered more likely to care about doing honest business and delivering excellent customer service. This can mean a big upswing when it comes to both incoming business and ongoing customer loyalty. More business means better profits! Breaking down cardboard boxes and preparing them for recycling takes up a lot of time and manpower that could be better spent elsewhere. Making the switch to reusable containers means employees’ time and energy is used in ways that really matter. Instead of breaking down endless piles of boxes, they can be seeing to customers or tending to business in other ways. Making better use of the manpower you have can help eliminate the need to hire additional help or outsource tasks that no one ever seems to get to. Explore the possibilities with sustainable packaging today! 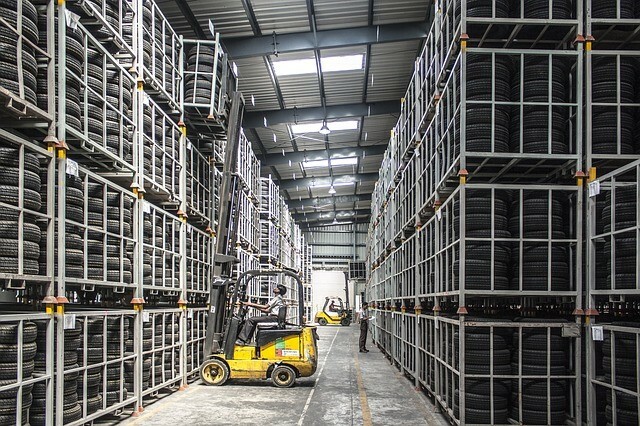 Whether storage is your entire business in a nutshell or simply part of managing your merchandise, it goes without saying that warehouses and storage facilities come with their fair share of challenges. You’re naturally concerned with protecting the products and valuables stored inside. There’s also the ever present dilemma of how to make the absolute most of limited space to consider. The fact of the matter is your choice in storage containers can make a world of difference. If you’re still relying on corrugated cardboard boxes and other disposable products meant for just one use, it’s time you went reusable. Not only are reusable options like totes, wire baskets, and crates a sustainable, environmentally sound option, but they really can make it easier to run your facility with efficiency. Here’s how. Disposable options may be familiar and convenient. However, they’re often the furthest thing from being space efficient. With a little careful planning and creative problem solving, you can maximize horizontal space fairly easily … but what about all that vertical space you’re not using because your containers simply aren’t capable of making the most of it? Reusable totes and baskets are designed to be stacked one on top of the other. This means you can finally take your vertical storage space into consideration the next time you revamp your stockroom or storage facility. This benefit extends to your shipping vehicles as well. The less space you waste on your delivery vans, the less fuel you’ll burn, and the fewer miles your drivers will have to cover in the long term. 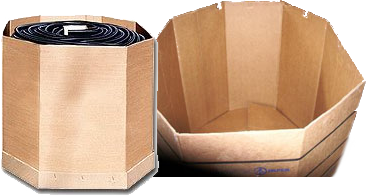 Not only are baskets, crates, and other semi-open containers good and strong in a way cardboard boxes just aren’t, but they provide excellent visibility as well. Since you can see through them, you can easily tell at a glance what type of product is contained in each. You can see how many you have of each item, making it easier to know when to restock. Open reusable containers make it easier to assess the condition of items contained. You can tell at a glance if those onions have started to sprout before their time or if that last shipment of Christmas tree ornaments was damaged the last time the stockroom was rearranged. Then you can make decisions accordingly. Some types of merchandise can be kept in completely enclosed containers without a problem. Others require air circulation in order to remain at their best. Produce is an excellent example. Sometimes you need to be able to contain items that create vapors which need a way to vent – another great fit for totes and baskets. Many storage facilities can be prone to leaks, moisture build-up, and mildew, which can damage the integrity of merchandise stored in disposable containers. Cardboard and other such materials swell up and bloat when exposed to water or moisture. 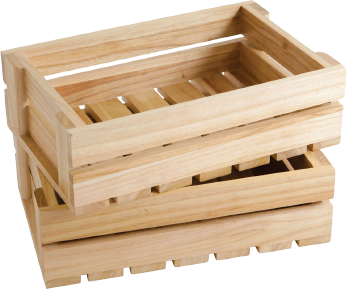 Totes, crates, and baskets provide drainage outlets that can help limit a product’s exposure to moisture and preserve its integrity. Cardboard boxes and other disposable containers eventually need to be broken down and disposed of. While this doesn’t sound like something that should be taking up a lot of your employees’ time, it can do exactly that. Over time, a given stockperson or warehouse worker might spend hundreds of hours simply disposing of packaging waste that doesn’t even need to be there. This can add up to a lot of wasted labor and manpower when you’re the head of a small business that needs each worker to be as productive as is humanly possible. Make the switch to reusable containers and put your employees to work on important, meaningful tasks. They’ll thank you for it, as will your bottom line. Here at ContainerExchanger.com, we pride ourselves on providing one of the best selections of reusable, sustainable containment options available anywhere. Outfit your warehouse, stockroom, or storage facility with stackable nests, reusable totes, organizer bins, collapsible bulk containers, and so much more. Save a fortune in packaging and containment costs, especially over time. Take huge strides in helping your business become more eco-friendly as well. Looking to get rid of old containers you no longer need in a way that’s responsible and sensible? Sell them to us! Our team will refurbish them before reselling them on your behalf to new buyers. Explore the possibilities today! This entry was posted in Sustainability, Totes on November 19, 2015 by madden_david. If you’ve recently decided that it’s time your company finally made the switch to sustainable packaging, then you should be congratulated on a wise decision. Not only are sustainable shipping and storage containers absolutely the way to go when it comes to doing cleaner, greener business, but you’ll be saving lots of money in the long run as well. However, deciding it’s time to go sustainable is easy. Actually settling on a decision that your company can grow with into the future requires a little more forethought. Here are some points to consider, the better to make sure you’re happy with your decision for many years to come. Reusable storage and shipping containers are far from one-size-fits-all. Sustainable packaging covers more ground than just the cargo shipping containers you might already be familiar with. In actuality, there are as many different kinds of reusable containers as there are types of businesses out there. Collectively, they can be put to absolutely any use you can imagine. Outfit your stockroom with handy wire baskets, reusable crates, and stackable totes to keep merchandise protected and organized. Add wooden or metal pallets to your collection of warehouse equipment to make storing and moving large shipments simple. 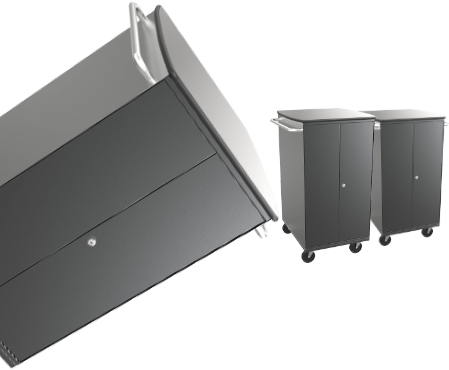 Organize your office space with specialized bins and office totes. Even handle difficult or specialized merchandise with the help of insulated containers, bulk storage bags, and more. You can buy secondhand reusable containers and save. Many business owners that are new to the world of reusable containment options are concerned with making the best decision from an economic standpoint. Any reusable container solution will save you money over time in comparison with the recurring costs of disposable packaging. However, there are still ways to make sure you’re getting the best deal possible. Consider purchasing the containers you need on a secondhand basis. Reusable containers are made of ultra-durable materials like industrial plastic, wood, steel, and so forth. This means that secondhand options are often just as reliable as brand new options, but are available at a much lower price. You can resell old containers that you no longer need. Speaking of secondhand reusable containers, you should be aware of one other way going reusable can save you money. Let’s say that you make an initial investment in a particular type of container, but later on down the line, your company decides a different option is a better fit. What do you do with the old containers that have served you so well? You can sell the containers you no longer need to a company like Container Exchanger. Container Exchanger not only sells new and used industrial containers, but buys them and refurbishes them as well. The containers are then marketed and sold to interested buyers on your behalf. No hassle, no headaches, and no stress! Just a great return on your initial investment in sustainability. You can use your new containment choice as a selling point. When most business owners think of the benefits that might come with sustainable packaging, they think of how great it will be for the environment. They think of the money they’ll save and of how awesome it will be to finally get that stockroom organized properly. What they don’t think of (but should) is how attractive such a choice can be in the eyes of their customers. More and more individuals and businesses alike are becoming increasingly responsible when choosing companies to buy from. They enjoy knowing that they’re supporting businesses that care about the environment and about preserving the planet for future generations. Plus, environmentally conscious businesses are thought of as more honest, more customer service-oriented, and more reliable, over all. 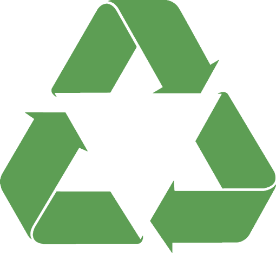 Consider letting your customers know that you’re now an environmentally conscious company. Ask those that receive shipments to return containers when they get their next shipments. People love feeling like they’re actively helping to do something good for the planet. If they can do that while enjoying a terrific product or service as well, so much the better! Of course, your choice in container dealers is incredibly important as well. When you choose to trust ContainerExchanger.com with all of your needs, you’re choosing a company with years of experience, unparalleled expertise, and thousands of satisfied customers to its credit. You’re entering into a partnership with industry aces that can’t just supply you with economical, reliable containers of all types, but can resell them for you as well. Let us help you find your perfect container solution today! When your company is done with your shipping container and bulk bags, what do you do? If you throw them out, they just end up in a landfill. Now, imagine that every company in the manufacturing industry does this; think of the waste that is being accumulated each year! More importantly, how many of these shipping containers are broken or unusable anymore? Chances are, just because your business no longer has a need for them, these materials can still provide a use to others in the industry. The fact is that most transportation materials are made to withstand long-term use, and contents can expect to travel and arrive in safety. Therefore, your company may be adding to the already enormous amount of waste materials the manufacturing industry produces. That isn’t exactly a beneficial business practice for your company. Maybe your company doesn’t throw out materials you no longer need. Perhaps you keep them in storage, only to find the containers collecting dust. This isn’t necessarily harming the environment, but it isn’t bringing your company any money, either. What is the solution for these shipping materials? Even if you are a sensible business owner who strives to find a green solution to everything, and likes to reduce your company’s carbon footprint, certain situations may call for a still usable container to be tossed out. You may be wondering, if these shipping materials are made to endure a long life, why do businesses stop using them or make upgrades? There are many reasons why a company may need a new container even when the current container has plenty of life left in it. Perhaps newer generations of the container offer better features. Or, perhaps, it is no longer profitable for the company to continue their business. When a company goes out of business or merges with another, usable and durable materials end up collecting dust or taking up space in a landfill. When containers meet the end of the line in this manner, not only does the company lose money, but this practice also harms the environment. A sensible approach to giving those still-usable shipping materials a long life is to make use of commercial recycling. Brand new material is expensive and, if you only need the container for a short period of time, pretty useless. Container Exchanger wants to offer the manufacturing industry a solution to this problem. 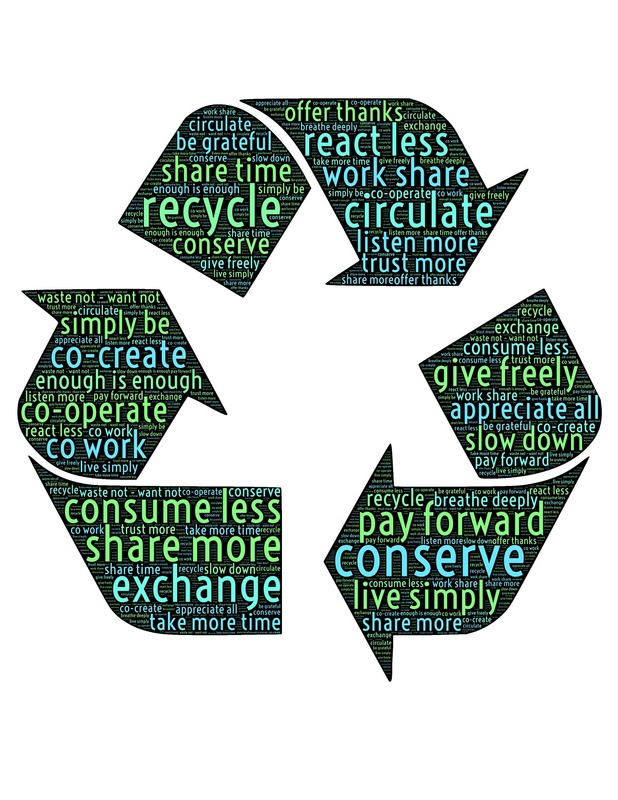 Commercial recycling is an environmentally friendly way to reduce waste products and decrease your company’s spending. So, back to those still-usable containers that businesses no longer have a need for. Our professionals help these business owners dispose of the materials in a less harmful way by locating another company that is in need of a shipping container. This is a practice that saves your company money, while at the same time helps the industry reduce waste. Talk about a win-win! Don’t end up like the rest of the manufacturing world. Strive for the green solution whenever possible. Container Exchanger ensures that all used and refurbished materials still have a long life ahead of them. For whatever reason, when company A no longer needs those materials, our experts help list the container(s) on our site in the hopes of providing company B an alternative to buying brand new containers. Why might company B want to buy used material? As stated before, these types of materials often get thrown out, even though they are perfectly good to use. Plus, company B wants to keep their bottom line in mind, while transporting their goods and products safely. Purchasing a used container through Container Exchanger serves both those purposes. We ensure the supplies are still able to perform safe shipment of products, while your company spends less. Additionally, depending on your situation, a new shipping container is not needed. For single use or short-term use, a used container is in your best interest. Plus, once you’re done, you can sell it through Container Exchanger, and we will find another company who needs it. So, now that we have your attention, and you see we have your company’s bottom line in mind, explore the different products and options that are changing the commercial recycling game. Bulk containers have the largest variety to choose from for your heavy-duty shipping needs. Collapsible pallet and bulk plastic containers are great for storing materials such as pellets, powders, produce, and other manufactured goods. Pallet containers are great options for any of your products or materials that require safe and protective storage. Our used bulk containers are all extremely durable, meaning they can be reused time and time again. Most of these pallet containers are heavy-duty, and some models/sizes can hold up to 2500 pounds. No matter what size option your company needs, our pallet containers are easily repairable, and provide easy shipment and storage. 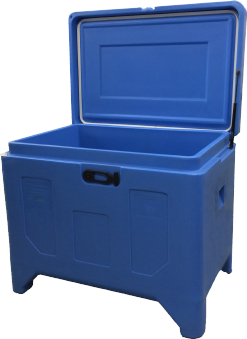 Choose from a variety of collapsible and non-collapsible containers, with a selection of fully sealed, vented, drop door models available. 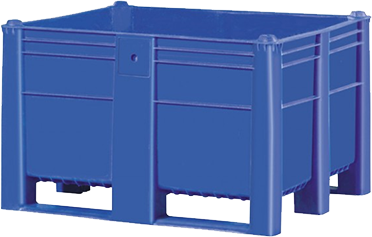 Metal storage bins are the ideal shipping container for your castings and scrap metal. Even though these bins are recycled, they are extremely durable. Your company can depend on our metal bin options for safe delivery while keeping all your goods in place during transit. 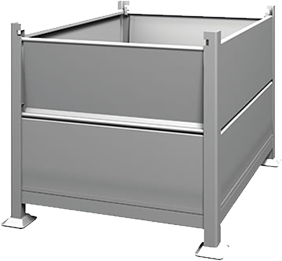 Our metal bins are solid-steel sided, but there are options of customizing the bins if your needs require different materials and dimensions. If you need shipping containers for castings and scrap metals, but find you need something more flexible than metal bins, wire baskets may be the right option for you. Our used wire baskets have the same durability as metal bins; however, the wire mesh grid allows a more visible and accessible storage of your industrial products. 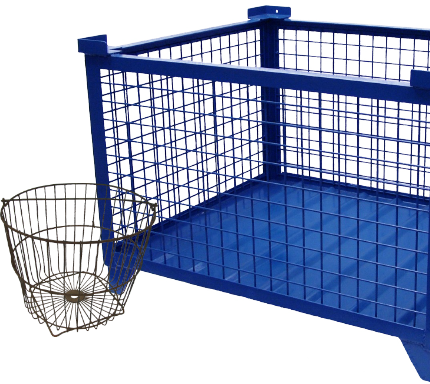 Wire baskets come in a variety of options, including collapsible, drop door, rigid, stackable, and heavy-duty choices. These storage options will not only save you money, but also space in your warehouse. Our used Gaylord boxes can hold just about any material you may need with a maximum of up to 2800 pounds. Made with durability in mind, the sturdy outside walls hold layers of cardboard inside, for secure storage and transport of the material within. Used wood crates are one of the best transporting and storage containers your company can keep on hand. 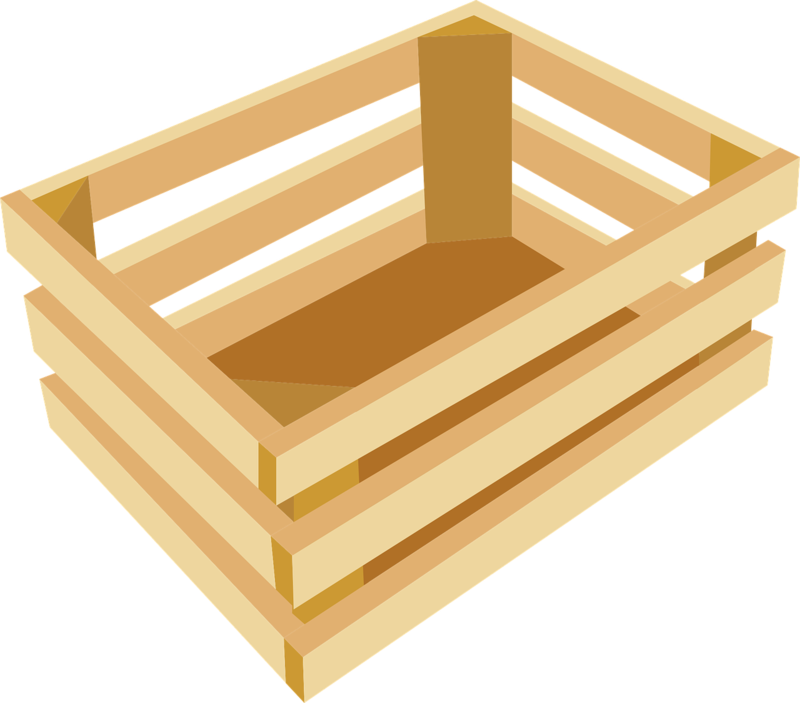 Because of import regulations, wood crates are heat-treated, making them ideal for reusable shipping crates. What makes wood crates a smart business option, when bought used? They are extremely affordable and work great for one-way shipments. These containers also make storing, carrying, and handling easy and efficient. Bulk bags or super sacks, jumbo bags, flexible intermediate bulk containers (FIBC), or any other name you might call these bulk containers—these make for an excellent low-cost packaging option. The woven plastic material is durable, and the lift straps make these bags easy to fill, lift, and empty. To save money and use a green option, choose from our used bulk bag options, such as Hazmat bags, U.N. bulk sacks, flow-through jumbo sacks, spout bottom bags, super large sacks, sprout top bags, lined bags, and food grade bulk sacks. 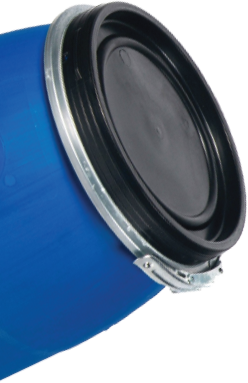 Whether you select a plastic barrel, metal drum, tank, or fiber drum, your chemicals and hazardous materials are transported securely in our used and refurbished drum containers. No matter your needs, whether shipping food grade products, liquid supplies, or chemicals, selecting a used drum will provide a cost-effective and green solution for your business. For those temperature-sensitive goods like dry ice and seafood, insulated containers will ensure the thermal protection of your products during transportation. Since the preservation of the products is highly important, these containers are made for long-term use, and provide a flexible choice to ship and store your goods. 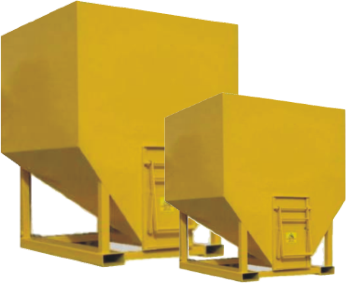 Hoppers and silos come in sizes large enough to hold items such as animal feed/grains, pellets, milk, water, and juices. Likewise, they also come in small enough sizes to feed an injection mold machine. Our used hoppers and silos come in a variety of styles and sizes, such as seed bins and dumping hoppers. No matter your needs, Container Exchanger has the green solution for your transport needs. Pallets of all materials make for versatile transportation and storage containers, often saving space in warehouses. 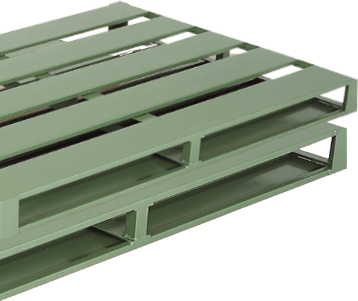 These pallets prove to be highly popular reusable shipping options for companies in the manufacturing industry. This is because they are lightweight, while also durable enough to protect your materials during transportation. 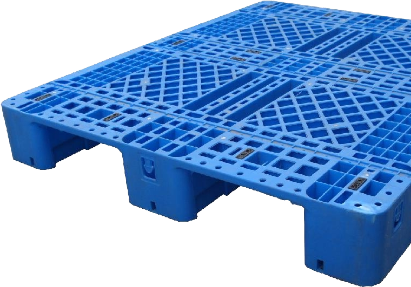 Design, style, and size of plastic pallets all vary, making them great used options for most of your shipping needs. 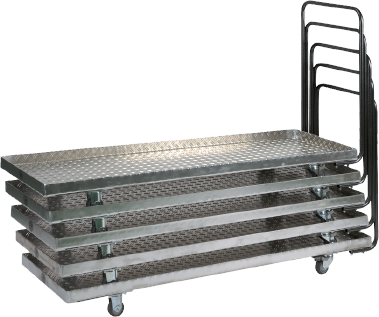 Aluminum and stainless steel metal pallets have the longest lifespan of all available pallets. Due to their metal structure, they can be reused for years on end. However, your company needs to pay close attention when choosing the correct metal bin for your needs. Stainless steel and aluminum pallets are usually fully welded, and resist corrosion and heat. This makes them an excellent container for the shipping and handling for meatpacking, food processing, and pharmaceutical industries. Wooden pallets are sensible for reuse because they have to be heat treated, for import reasons. This means they rarely are returned to the sending company; therefore, they are solid options for reuse. Thanks to their durable design, they can carry loads up to 10,000 pounds or more. 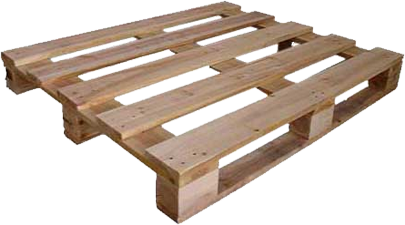 Purchasing used wood pallets reduces costs and saves storage space. 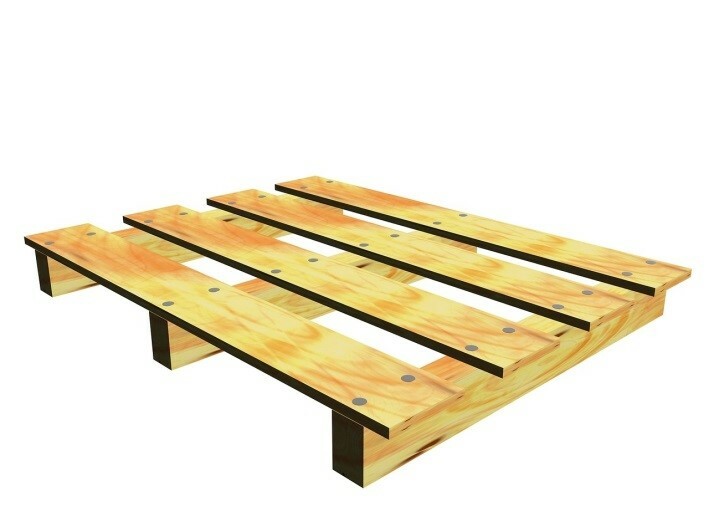 For shipments of heavy loads, wood pallets make a sensible choice. Carts are made for the transportation of supplies and products within the warehouse, store, building, or office space. Security carts work best for personal and retail, distribution, restaurant and food court industries. With lockable floors, walls, and roof panels, you can rest assured your valuables are stored and transported in a safe manner. Transport carts are portable shelving units that work for the warehouse, plant nursery, or restaurant. The shelving can be either wire or mesh, and the design is ideal for moving items within your warehouse, property, or space. Transport carts have features like modulate shelving that allow you to adjust the shelf placement, and tow bars to link and tow several carts at once, that make them great for all your business needs. Laundry carts are used in the hotel, resort, and institutional industries. Our selection of used and refurbished laundry carts is excellent for the use of transporting, storing, and sorting linens. There are taller options, reaching six feet, along with removable and lockable panels that ensure the safety of all materials inside. No matter what industry your company is in, choosing a used or refurbished shipping container is the beneficial way to reduce your carbon footprint and save as much money as possible. Let Container Exchanger aid you in finding the right materials for your business. 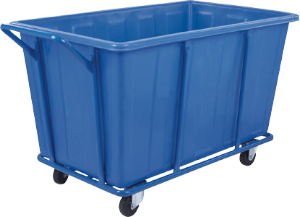 Choose from the many used bulk containers, pallets, and carts we have available. And, remember, when you have exhausted all uses for your container, turn to us again, and we will help you sell it to another company. Set an example within the industry and use the green solution to purchasing your shipping materials—every time. This entry was posted in Bulk Containers, Pallets, Storage, Totes and tagged containers, distribution, pallets, recycling, Sustainability, waste reduction, wood on November 19, 2015 by madden_david. Looking for affordable storage containers to stock your warehouse merchandise or products in your business? Looking to save money with your bulk purchase? You’re not alone; many business owners are looking to save money while purchasing the right business storage solutions for their transportation or warehouse needs. The following is a simple storage container buying guide which provides insight the things you need to consider when making your final decision. 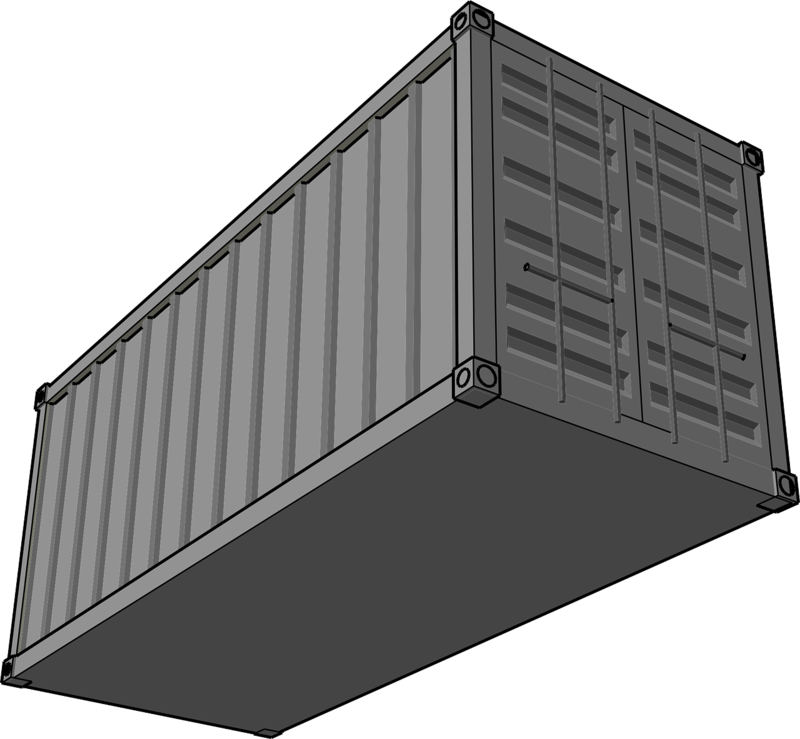 Storage containers are manufactured in many ways resulting in their size, their portability, and the materials used to make them. The following are some of the things that you need to consider before finalizing and buying storage containers. Space – It’s important to consider the amount of available space when purchasing specific containers or used shipping crates. 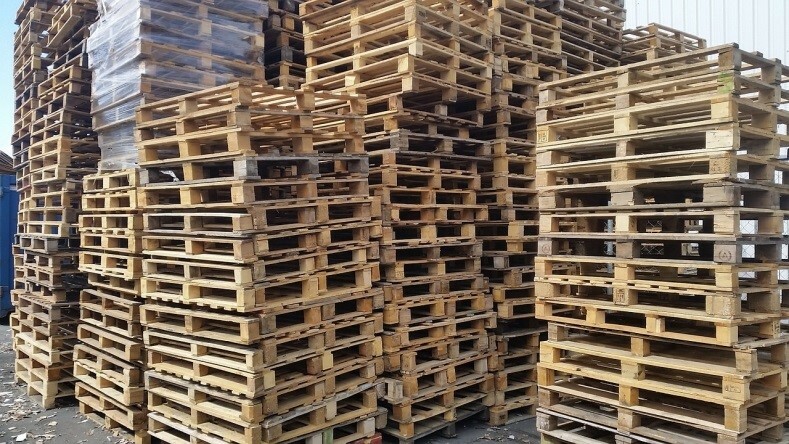 Many industry warehouses are already stocked up with pallets and stack racks. If you’re intending to keep your containers inside, make sure you have sufficient room to fit them. Restrictions – In some sub-developments, countries, and cities there are restrictions against containers. It is important to check your local area’s restrictions and laws on container usage to make sure you don’t run into any problems. Is the ground level enough to place your container? Will the container be placed in areas which are exposed to weather or wet conditions? Is there adequate drainage where the container will be placed? Can the ground area or racks support the container when it is filled with stock? Size – The size of the storage container will depend on the type of items you will be placing in them. The size that you purchase is also determined by how many items you can fit within the one container, as well as the area where you will be placing it. Some warehouses or businesses may have limited space capacity for holding larger sized storage containers. This is why it is important to purchase the right size to cater to your space limitations. Insurance – For larger, more expensive containers, such as shipping containers, it’s a good idea to look into insurance options to cover the cost if something unexpected happens to it. This will also help to cover the costs of the good stored within the container during shipping. Delivery – Before choosing your container, make sure you have adequate delivery site space to fit your container if it is large, like a shipping container. Check your site for its available space to make sure you have sufficient room to fit the quantity and size of containers that you’re looking to purchase. Portability – Whether you require portable storage containers is another factor that you need to consider. Don’t just think about the right-now storage solution that you need; try to think ahead to whether you may require the containers to be easily transported from one location to another. Portable storage containers are beneficial for saving time when reorganizing warehouses or businesses. They allow you to move stock without having to unload the items within. Wheeled storage containers are the best option for portability without the need for any heavy lifting. This helps to reduce injury of workers. When buying storage containers, you must consider who, what, and how they will be used. Materials – Last, but not least, the material your storage container is made from is probably one of the most important things to consider. Storage containers these days can be manufactured from wood, plastic, fabric, and natural material. The following table is a guide of the materials and features of storage containers for warehouse, business, or home storage applications. One of the most popular storage containers for home or industries is the plastic container. This is because it can be more lightweight than other types of materials. Buying Storage Containers – New or Used? Purchasing new or used storage containers will depend on your company’s budget and whether you require new containers over used ones. Many companies like to look for discounts and cost effective business storage solutions. They will generally purchase used containers, which can be reused again. If purchasing used containers, it is good to inspect them to make sure they can handle what you’re looking to store in them. Check for cracks, dents, or any other damages that may cause the container to be less efficient during use. When looking to purchase storage containers, it’s best to take everything into consideration before making your final decision. So, what type of storage container did you choose? This entry was posted in Storage on November 6, 2015 by madden_david. To resolve these issues, you must first understand how these deficiencies affect your warehouse space. Although having too much of the right product may be beneficial for business owners to complete orders successfully, unfortunately it can lead to a lower warehouse productivity, along with lower safety standards. 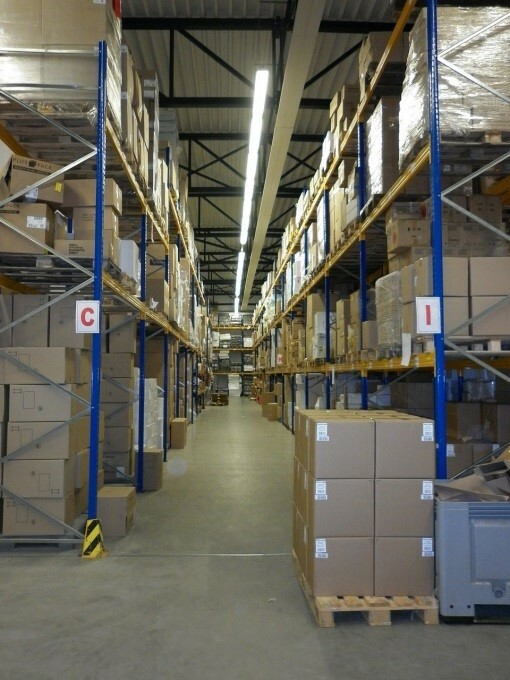 You will find that this type of warehouse will show products stacked in docking areas, stored in aisles, and placed on rack end caps, or products with multiple SKUs mixed together within the single wire basket or crate. All this can create a safety hazard, from lack of visibility throughout the warehouse. It also causes decreased labor productivity, lack of ease locating inventory, and multiple handling of unnecessary products. Although the upside to this scenario is that generally the popular stock moves fast, freeing up the space in a couple of weeks. Another complication that you may find within your warehouse is having too much of the wrong product taking up valuable space. Having an abundance of the wrong product indicates that your product planning and sales projections were incorrect. It also indicates that your warehouse may not be managing obsolete products or inventory levels properly. Having an abundance of the wrong product can take up space for months and years at a time. 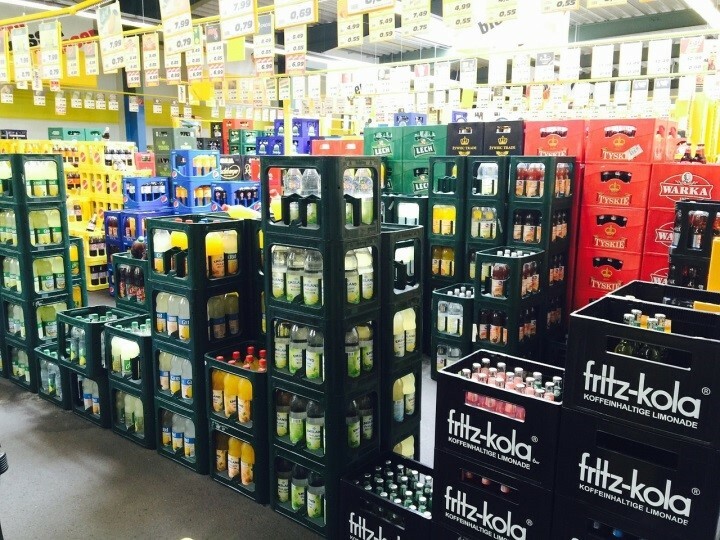 This can be solved by cutting your losses and discounting the products to remove stock faster. The earlier this is identified, the better your company can manage its losses. 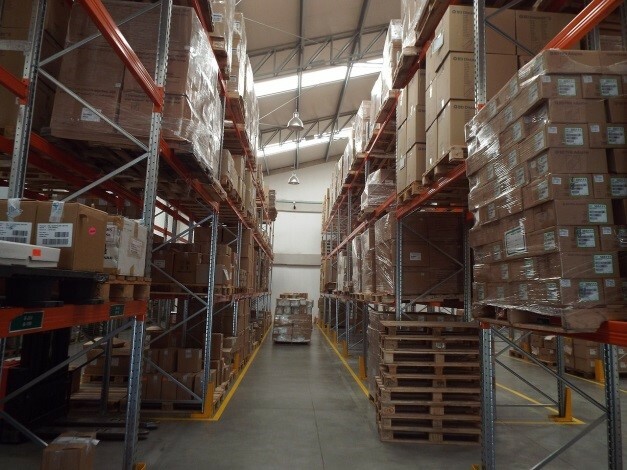 Poor utilization of your warehouse space can be caused by changing storage requirements, steady growth, and ever increasing service requirements. 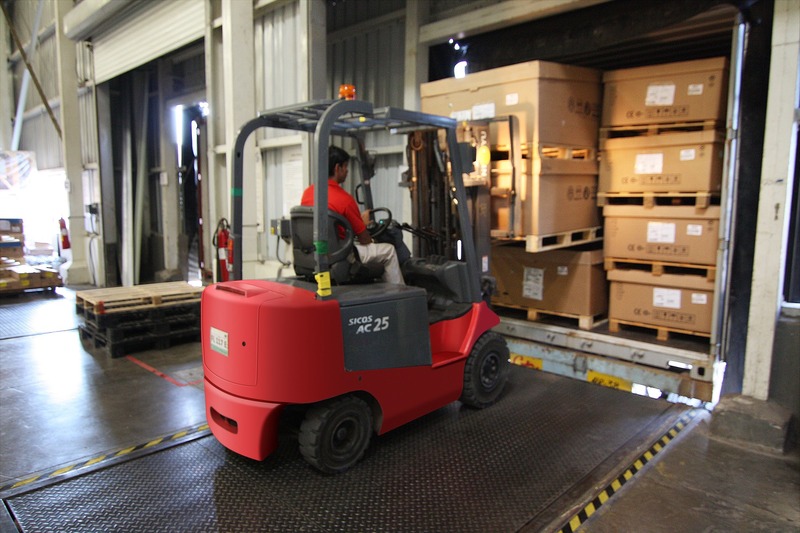 Many warehouses are equipped and built to handle limited unit loads, a set number of products, and projected volumes. 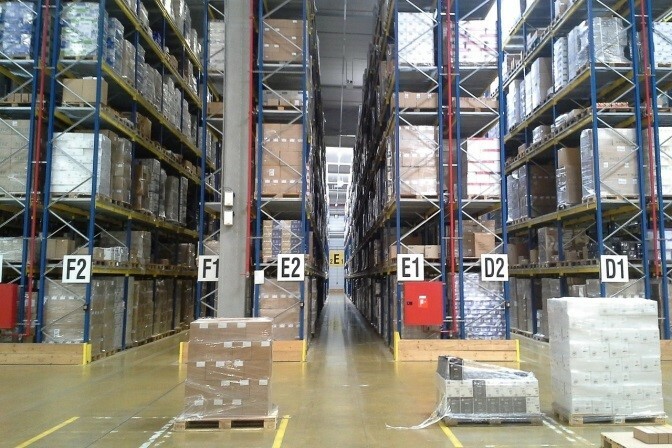 Warehouses are expected to be more efficient and adjust to the demands of customers. Due to these conflicting goals, you may find you’re accepting long term penalties to complete your short term goals. These goals include hand pricing merchandise for key customers at piece level, creating display-floor-ready end-cap-customized merchandise, or creating a mixed load to simplify customer processing when the merchandise is shipped in full pallet quantities or full case quantities. Other poor space utilization includes wide aisles, low vertical space utilization, storage of partial loads being stored in full load locations, and multiple products being stored in a single bin location. These issues can be fixed by changing the workstation design and the physical layout. Packing everything that is stored in an organized concrete fashion by using the least amount of space possible. Reorganizing the storage of the products within the warehouse by type and use for easy finding at a later date. Keeping items on shelves or off the floor to minimize obstacles for workers and forklifts to move about. Removing any stock which has been taking up space for over a year, to free up space for popular products. Rearranging stack racks and other storage containers to utilize space better and provide a more efficient layout. Incorporating and utilizing appropriate industrial storage containers, including wire baskets, pallet containers, metal bins, wooden create, and stack crates, etc., to manage product storage efficiently. Reorganizing your warehouse can really help to free up space and utilize the layout a lot better. Using the appropriate industrial containers to help improve storage of products is a great way to manage your space a lot better. The best way to organize your warehouse is by assessing all aspects of it first, before deciding on a plan or strategy to effectively use space better. So, what did you change or add to your warehouse to maximize space? This entry was posted in Bulk Containers on November 6, 2015 by madden_david.